A picture I took recently when the fires were burning all around Port Elizabeth. 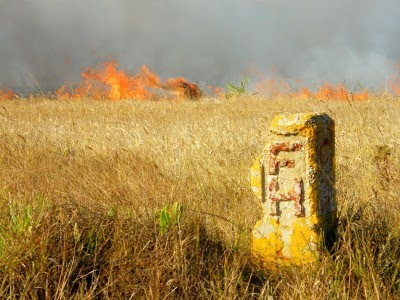 I was on a dirt road in Fairview and found this old fire hydrant marker in the grass next to the road with the fire in the background. Thought is was a bit of an ironic sight. You know when you want to take a picture of something and you have an certain image in your head, but you just can't capture it? It happens so often to me, but in this case I got just what I wanted. 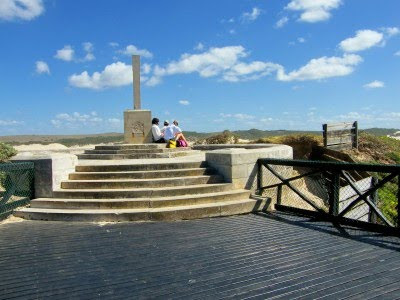 This was taken at the Dias cross at Kwaaihoek. For more pictures about the sky to put some more ideas in your mind, visit Skywatch. During our December holiday at Cannon Rocks, one of the things that I really wanted to do was to visit the Dias Cross at Kwaaihoek. Bartholomew Dias was the first (known) European to discover what is today known as South Africa. 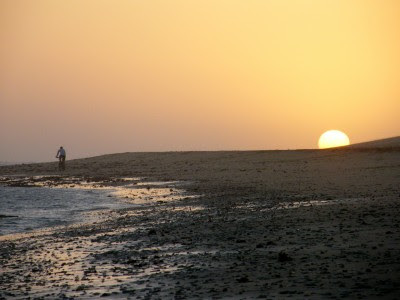 He left Portugal and travel down the west coast of Africa searching for a seaway to the East. He rounded Cape Point without knowing in a storm and first set foot at Mossel Bay in 1488, where he planted a stone cross. From here he sailed on to present day Port Elizabeth and planted a cross on St Croix Island in Algoa Bay. By this time the sailors wanted to turn back home, but he persuaded them to sail for another three day. The point where they turned around on the 12th March 1488 is today called Kwaaihoek. The remnants of this cross were rediscovered in 1938 by Prof. E. Axelson and transferred to the University of the Witwatersrand in Johannesburg. This lead to a replica of the cross being erected on the spot. As there is quite a lot of walking involved, the Damselfly decided that she and the Rugrats would rather spend the morning by the pool than to trek along with me across the dunes and back along the beach. She did drop me off at the closest spot to the point as possible. From here the first part of my journey took me through some coastal bush before the path spewed me out on what is the far eastern section of the Alexandria Dunefields. Hitting the dunes I took a moment to contemplate, but as my lift would have been back at camp already, I pressed on. After about half and hour of following the footsteps of a couple of people that had already made the journey earlier the morning, I crested the last dune, took another sip of water (by now it was starting to get hot) and headed towards the rocky outcrop on which the cross is situated. 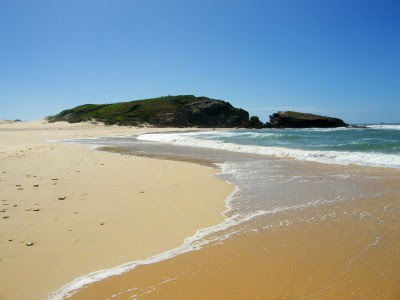 The spot really stands out from the surrounding coastline which is mainly sand. Unfortunately the cross was badly vandalised a year or so ago. It is thought that the vandals were trying to get to the metal skeleton of the cross to sell it as scrap metal. That is so sad. So as you can see in the second photo of the post, the cross doesn't have an actual cross at the top. There are also a couple of other features as well as a bronze plague missing. 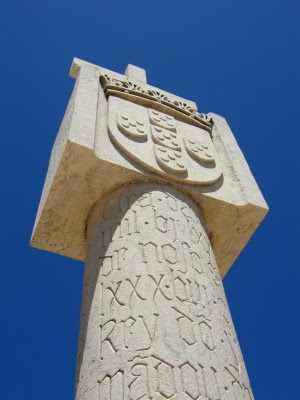 Above is a photo of the replica of the Dias cross that stands on Market Square in Port Elizabeth to show you what it is supposed to look like. 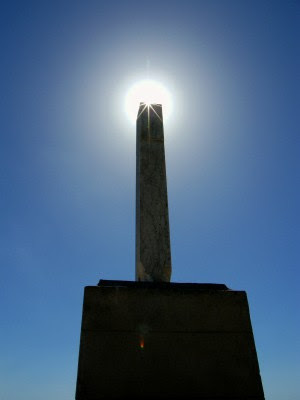 Also follow this link to see a pic of the whole cross in Port Elizabeth. 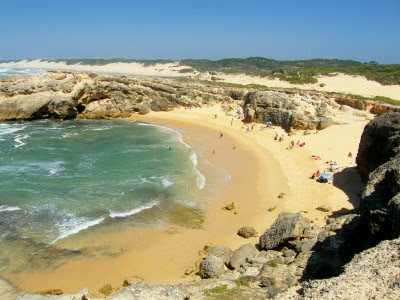 I had to drive to Port Alfred (about 150km or 1 and a half hours west of Port Elizabeth) for business the other day. 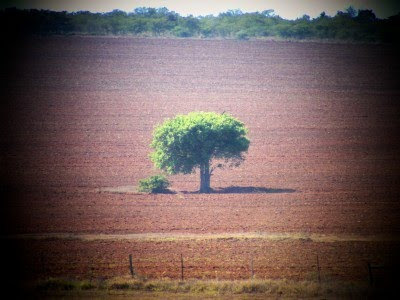 While waiting at a stop/go on the roadworks along the R72, I noticed this lone tree in the middle of a plowed field. Peculiar. Unfortunately it was a bit foggy and hazy so the pic isn't crisp, but adding the spotlight effect does help to hide it. Oh YAY! 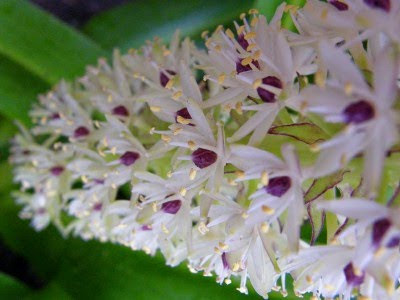 My Pineapple Lily (Eucomis) finally flowered. 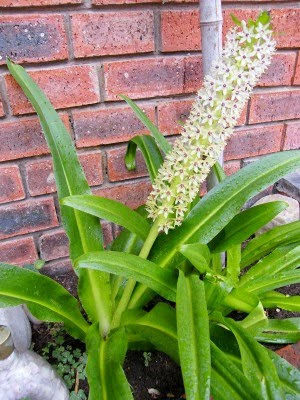 This one seems to be called the Eucomis - "Meguru". Last year I received three plants in a pot from my mom. They never flowered so I moved the bulbs into a flower bed next to the front door in late winter. So this year one flowered. And that not too long after moving them into the garden. I'm impressed. 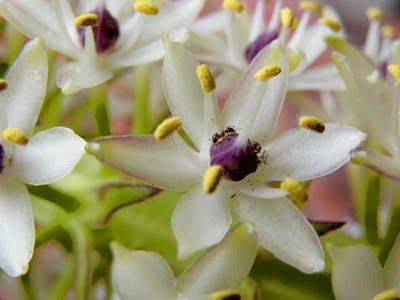 I can't wait till next year in anticipation that more of them may flower then. 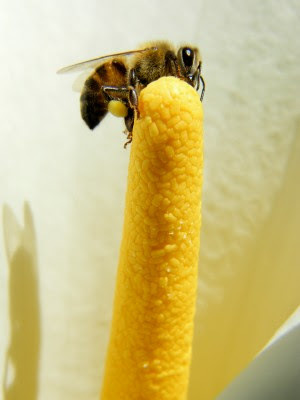 Here is just a fun post for you. 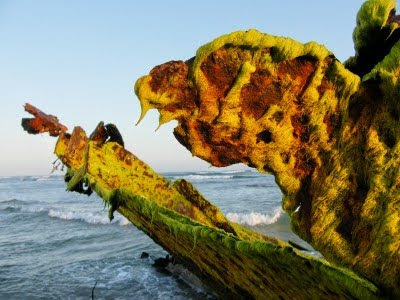 The common name for this undersea plant (or seaweed) is Dead Man's Tongue. 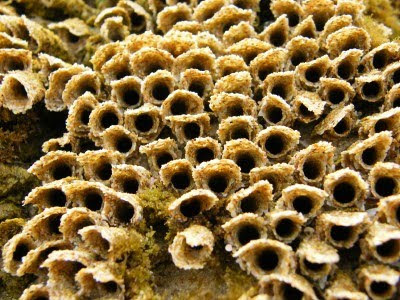 It grows on the ocean floor (standing on its foot with the tongue bit pointing up) and gets detached in rough seas and washed onto the shore. As it grows quite deep it doesn't really get much sunlight and doesn't get a green, orange or red colour like most other sea weeds. 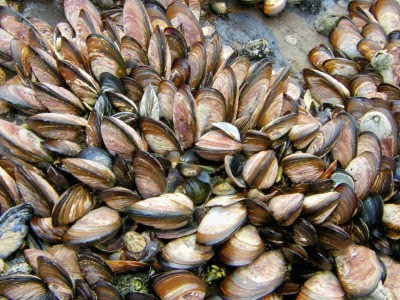 When they wash up they have this flesh colour. Drama Princess was quite a sport to pose with it although she was a bit grossed out. 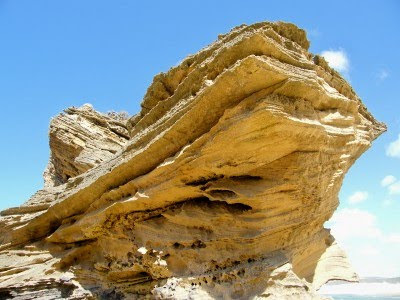 Kenton-on-Sea has the most awesome rock formations along the beach between the Bushmans River Mouth and Middle Beach. When we were the the tide was unfortunately a too high to get nice pics of the rock pools, but here are some formations. 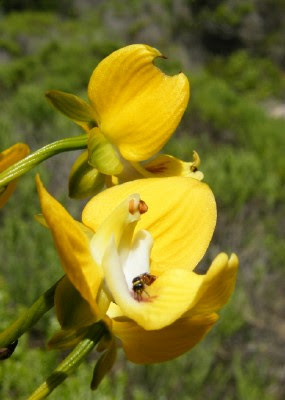 Ok, so this one isn't Kenton, but at Kwaaihoek close by. The holiday town of Kenon-on-Sea is situated about halfway between Port Elizabeth and East London in the heart of the sunshine coast. 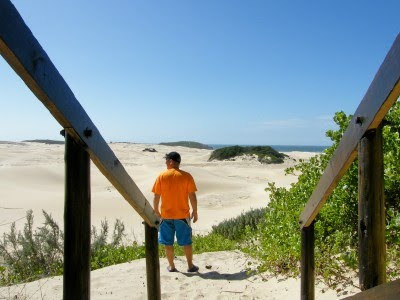 It lies between the two tidal rivers of Bushmans River and Kariega River. 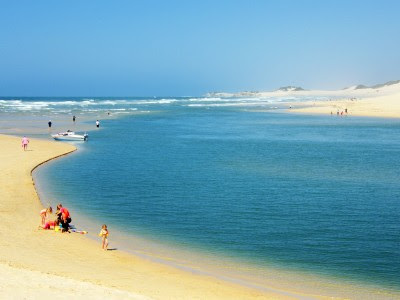 The picture above is the Bushmans River. The houses on the left hand side of the rive is Bushmans River Mouth while those on the right hand side is Kenton-on-Sea. 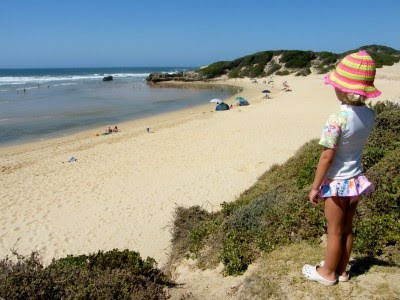 Kenton is primarily a beach and outdoor destination with the population exploding during the summer months. 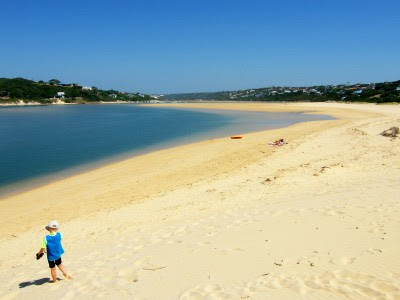 Some of the activities you can do in the area are swimming & snorkeling as well as fishing, boating, sailing, water-skiing and wind-surfing on both the rivers. Boats can also be hired for cruising on the river. 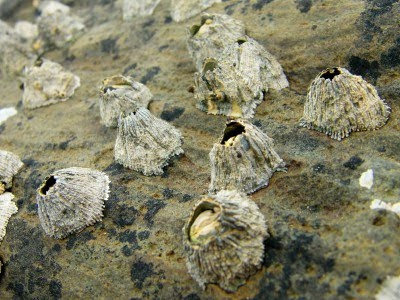 The coastline between the two river mouths are divided between sheltered rocky coves and long expanses of pristine sand. 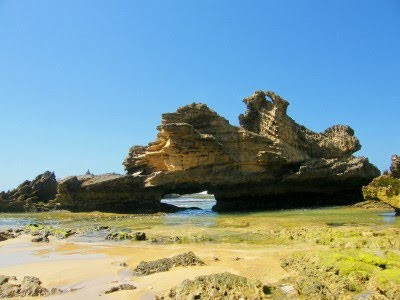 A very popular beach is the sheltered Shelley Beach. 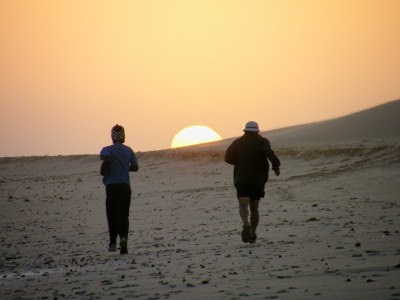 To get to it one either has to walk about 15 minutes across the dunes or along the coastline. But ones you there is feels like a beach on the Mediterranean Sea. 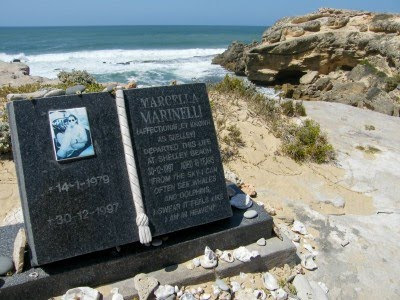 At the top of the cliff overlooking the beach is a small memorial to Marcella (Shelly) Marinelli, born 14-1-1979, died 30-12-1997. It says: "Departed this life at Shelly Beach aged 18 years. From the sky I can often see whales and dolphins. I swear it feels like I am in heaven". I haven't been able to find any more information regarding her though. The most popular beach around seems to be Middle Beach, about halfway between the two river mouths. When we got there it was still fairly early and quiet, but about an hour later it was packed. Middle Beach had a lagoon like feeling the day we were there as there. 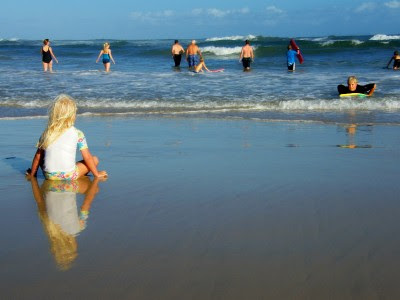 There was a big sand bank deeper in which meant that the part where the kids were swimming was calm and quiet. For more information, visit Kenton-on-Sea. I haven't done a Random ... theme post for a while now. So I decided to do one called Random on the rocks (no whiskey or brandy featured in this post though). 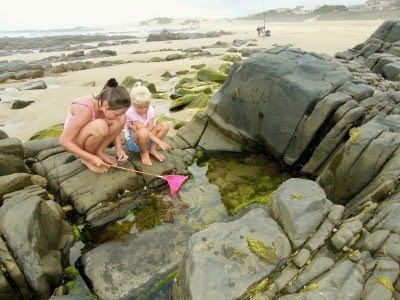 On our recent visit to Cannon Rocks we had lots of time to explore the rock pools along the beach. I took all three of these within a short space of time around one of the rock pools. For some reason I can't remember what these are called, but I am sure Zane will help me out. 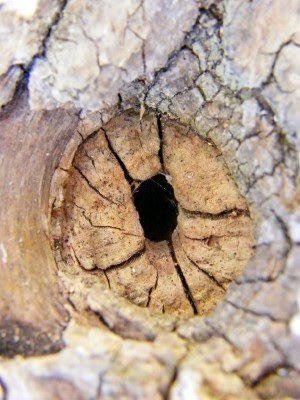 Looks like an eye, doesn't it? Today's picture was taken about a minute before the one I posted last Thursday with the two runners in it. Moments before the runners came past a guy on a mountain bike came cycling along the shore towards the sunset. For some reason the "Lucky Luke" theme song popped into my head. For more up in the sky pics while you hum Lucky Luke (cause I know its now stuck in your head), visit Skywatch. 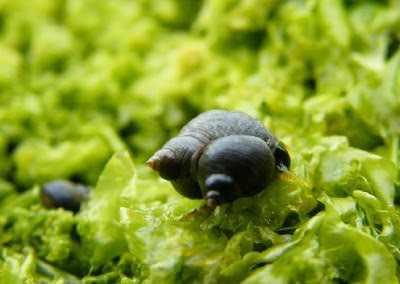 I found these tiny little sea snails on the moss (or algae, whatever) in the wreck at Cannon Rocks. In the pic it actually looks like they are sitting on lettuce. We went on a strategic session for work to a guesthouse just outside Port Elizabeth the other day. 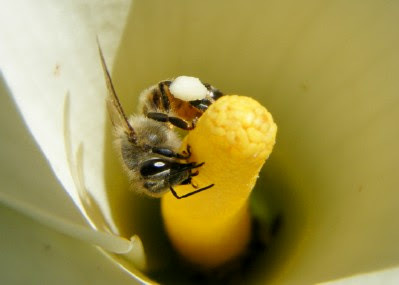 During one of the breaks I chased bees around the lilies in the garden to try and get some nice shots. I could see some of my colleagues watching me in amusement, but I'm used to that by now. 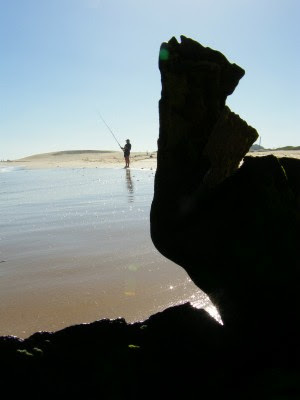 Who has never chased little fish around rock pools with a net before? I always think the poor little fish living in these rock pools must be so stressed. I would go swimming for cover every time I see a couple of kids with a bright net coming my way as well. Here the Drama Princess is watching Gem Girl chasing the poor little fish around their pool. 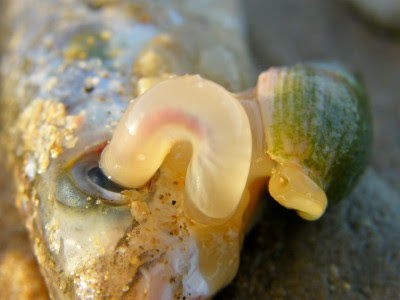 Walking on the beach the other day I found this little dead fish that had washed up on the beach. There were a couple of these "Plough Shells" all over it, but this one caught my eye. It was busy licking the fish's eye. I was down on the beach at Cannon Rocks to take some shipwreck pictures (here and here) at sunset when these two guys came by jogging into the setting sun. For more pictures by photographers from around the world involving the sky, visit Skywatch. Drama Princess loves being outside and would swim every day if she could. As long as its in a pool. 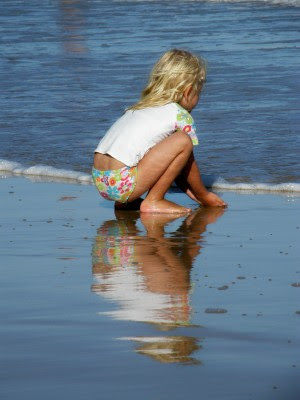 She's still very wary of the sea and would rather play in the sand than go in the water. Following on yesterday's post on (what's left of) the wreck at Cannon Rocks, I decided to show off some closeup shots of the wreck today. 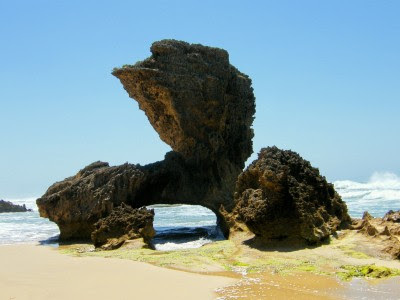 During December we spent a week at Cannon Rocks on the Sunshine Coast in the Eastern Cape (about 120km east of my home town of Port Elizabeth). 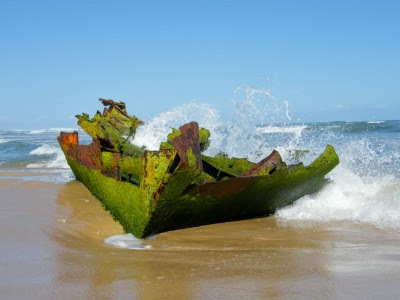 We stayed there the previous year as well and I just loved photographing the wreck of a fishing boat rusting away on the beach close to the resort where we stayed. 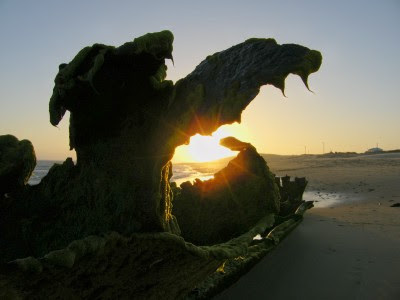 Last year the wreck looked like this (photo above) and some of the photos I took then can be seen here and here. As soon as we set up camp I jumped into the car and headed over to the wreck to go and say hi. I could barely believe my eyes. Below is what's left of it. 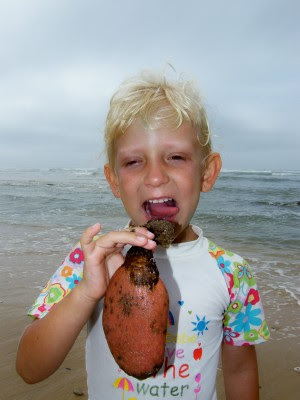 The ocean and the elements are truly taking its toll. Just about all of the deck and upper deck area is gone. 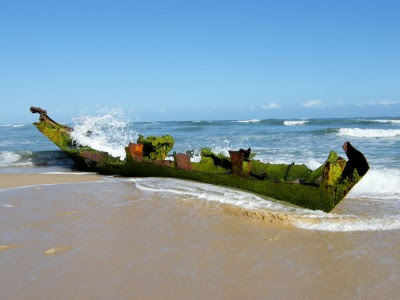 It also looks like the rough seas had moved the wreck slightly as it's in water all the time now where it was on dry sand during low tide last time round. Because of this its now covered in moss and sea weed. But although it looked very different from my last visit I still took quite a few pics of the wreck and will show them to you in the time to come.